One of the best ways to progress in Pokemon Go is to stay on top of the Pokemon Go Research Quests – constantly changing missions and activities that players can pick up and complete for bonuses and rewards. Pokemon Go’s research quests are split into two categories: Field Research and Research Breakthroughs. Field Research are essentially missions that you collect when you spin PokeStops. Each PokeStop gets one specific field research mission assigned to it each day, and though you can complete a quest more than once per day you’ll only ever pick up the same mission from any given PokeStop. You can complete as many field research quests as you, and the rewards for any given quest will vary a little depending on the quest you get. Generally speaking, you’ll want to aim to complete at least one quest per day in order to work towards your research breakthrough, however – but more on that in a moment. Quests range across all aspects of Pokemon Go and in a sense exist to get players to experience all aspects of the game. Field research quests might ask you to battle in a raid, battle in a gym, hatch Pokemon eggs, catch certain Pokemon types or even spin Pokestops – and these are just a few examples. Sometimes a task will reward you with the items, but other times you’ll be rewarded with a rare Pokemon encounter – field research is the only way to encounter and catch Spinda, for instance – the encounter with a Spinda you need to catch one only comes as the result of a Pokeball-throwing related field research mission. As an aside, these encounters are really useful since Pokemon encountered in this way can’t flee. The quests and rewards on offer rotate in a monthly manner for the most part, meaning at the end of one month Niantic will retire quests and rewards and replace them with new ones. Sometimes they’ll keep a quest but replace its reward – it really varies from month to month, and often there’s a theme to a month – like how August 2018 featured Raikou as a potential reward and a range of other electric Pokemon. April 2019 is once again a double-month event dedicated to legendary Pokemon – giving you a chance to catch the likes of Lugia, Ho-Oh, Regirock, Regice, Registeel, Raikou, Entei, and Suicune. Some of these have appeared as field research rewards before – but some haven’t, and the chance of which you get is random. As you can see in the screenshot above – and in game – the field research screen has a series of stamps adding up to seven stamps. You can only earn one stamp per day even if you complete multiple missions – so basically, this series of stamps is designed to last a week. 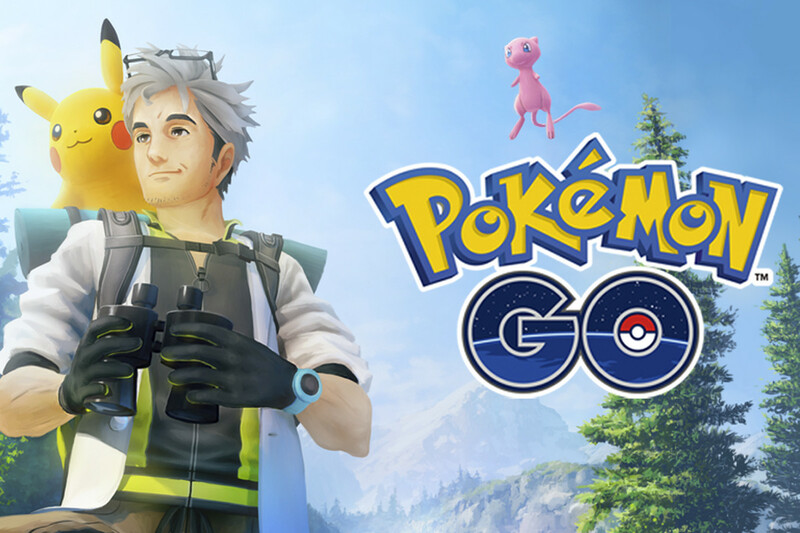 When you reach the seventh day you’ll unlock a Research Breakthrough, represented on the screen by the big wrapped-up parcel from Professor Willow. Exactly what will be inside these packages varies from month to month alongside the other research bonuses and rewards, plus a Sinnoh Stone evolution item. The biggest thing, however, is that every month this tends to feature a Pokemon encounter. These are usually with high-end, rare Pokemon – sometimes even legendary Pokemon – some of the best Pokemon in Pokemon Go. That means you’ll have an unlimited amount of tries to catch them since Pokemon encountered in this way can’t run away. So long as you have patience and Pokeballs, you can keep trying until they’re caught. This is a great place to practice how to make excellent throws and curveball throws in Pokemon Go, too. For April 2019, the field research rewards will be a matter of random chance to a degree: once you complete a week’s worth of field missions you’ll have a chance at encountering one of eight legendary Pokemon: gen 2 legendary birds Ho-Oh and Lugia, gen 2 legendary beasts Entei, Suicune and Raikou, and finally legendary ‘regi’ Pokemon Regirock, Regice and Registeel. The latter three have so far only been available by raids. As we previously explained, everything around the field research system is on rotation – every month brings around a different set of events with different goals, and we’re going to keep this page current with whatever the current mission set is. For April field research breakthrough you’ll be rewarded an opportunity to catch one of a few legendary Pokemon from the second Pokemon generation – legendary birds Ho-Oh and Lugia and legendary beasts Raikou, Entei and Suicune. 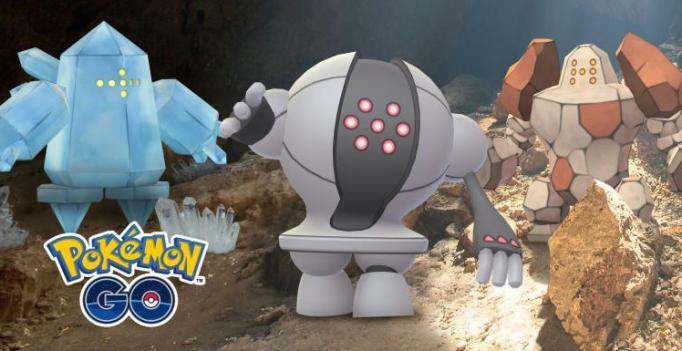 As a final bonus, the ‘regi’ legendary Pokemon also can make an appearance – Regice, Regirock and Registeel and Lugia. Which appears is random, so cross your fingers for your favourite or for the one you’re missing. All you have to do to get this is rack up seven days worth of stamps by completing one field research mission a day – in turn giving you four chances to do this if you’re on the ball in January. The Pokemon on offer run the gamut – flying, fire, ice, electric, water and even steel type – and given that they’re all powerful this also gives you a great chance to boost your team in terms of Pokemon type strengths and weaknesses. For posterity’s sake, here are the past field research breakthrough rewards as featured in Pokemon Go – just so you know what you’ve missed. A little swipe across your field research menu will also take you to the Special Research Tasks. These work a little differently, and mercifully for my fingers (and your eyes) don’t require so much assistance or explanation on this page. Still, for avoidance of confusion, let’s talk about them a bit. 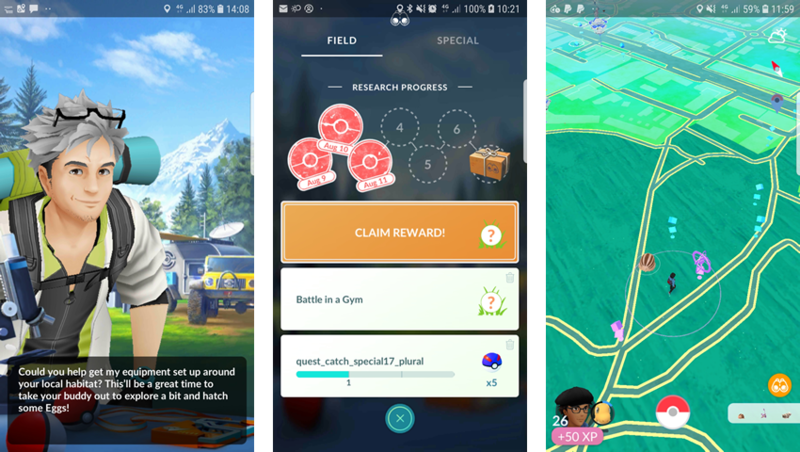 The Special Research Quests are essentially the closest thing Pokemon Go has to a ‘story mode’ – these are fixed quests with fixed objectives and, ultimately, fixed rewards. Each ‘stage’ of the Special Research Quests requires you to complete three missions each with a smaller individual reward in order to unlock the larger reward for that phase of the quest. Once you’ve done that, Professor Willow will then introduce the next phase to you. The first Special Research Quest in the game is ‘A Mythical Discovery’, and it’s not much of a spoiler to say it leads to your ability to unlock mythical 151st Pokemon Mew in the game – and now, it can also unlock mythical creature Celebi. Getting there requires completion of a range of missions, however, doing everything from gym battles and raids to catching rarer, difficult-to-locate Pokemon like Ditto. Completing each phase of the mission will eventually deliver you to an encounter with the mythical Pokemon.